Happy birthday to my best friend’s daughter! She was born on the same day as me. She celebrated her 1st birthday this year and for her party I made these sugar cookies. I like to bring sugar cookies to a party when I don’t know what people like or if there is a possibility that someone might have a nut allergy. 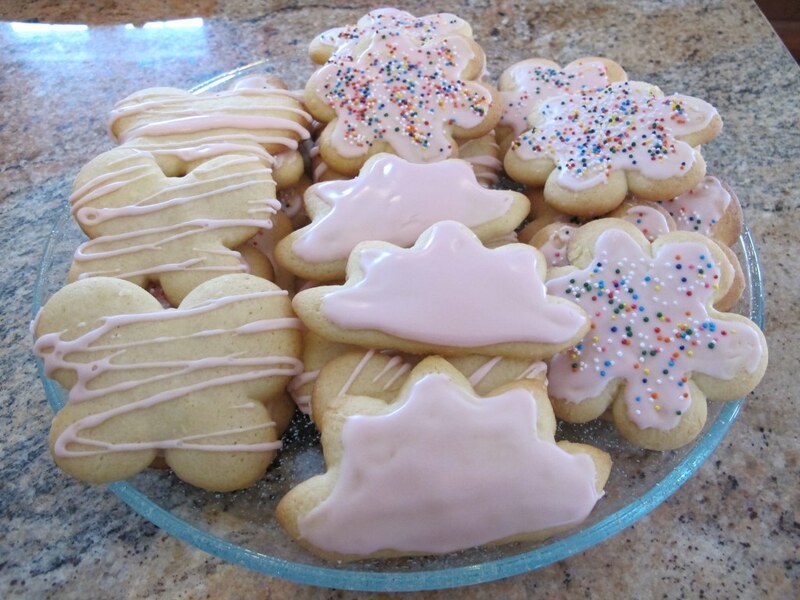 Sugar cookies are a simple dessert and I think most people like them, especially kids. 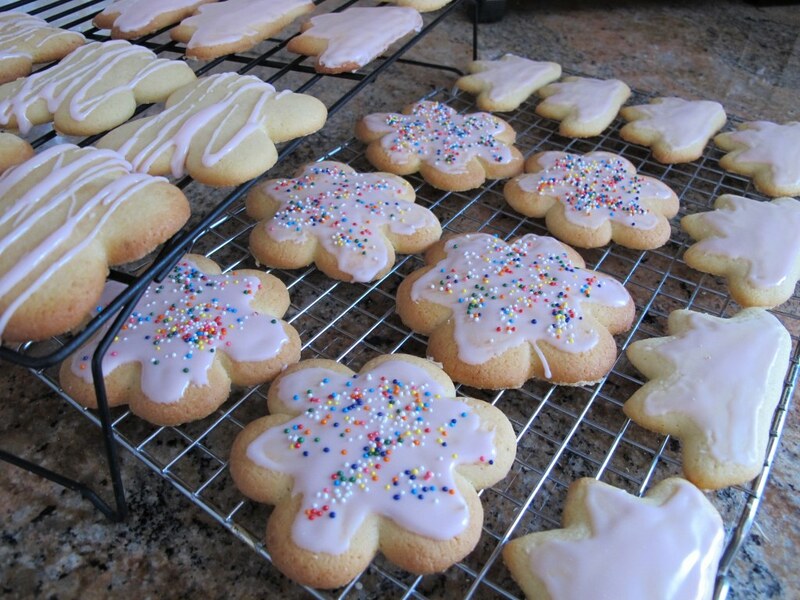 This sugar cookie recipe represents the quintessential sugar cookie because the cookies come out soft, buttery and wonderfully sweet. Another great point about sugar cookies is that you can match them to a party theme. Her party’s theme was pink and girlie so I made a princess crown, flower, and butterfly shaped cookies and covered them in pink icing. 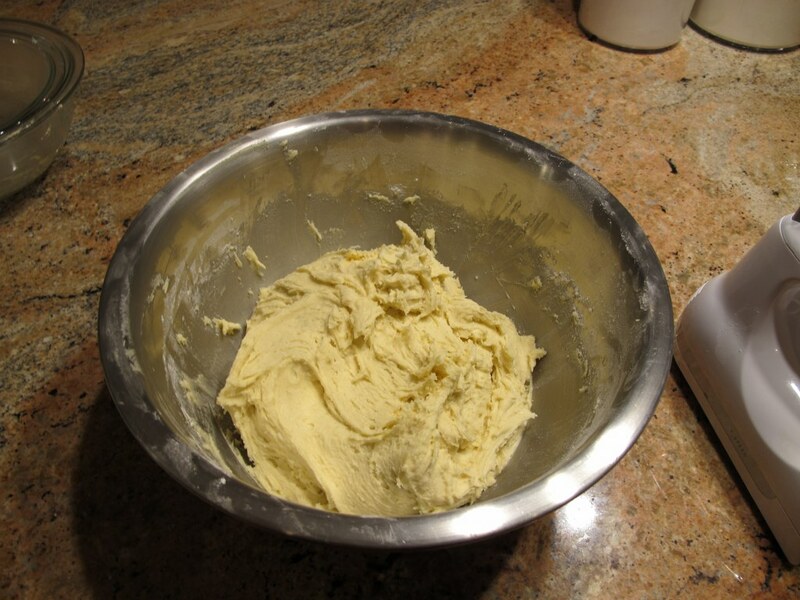 Note on the preparation time: The dough is chilled overnight. In a large bowl, cream the butter and sugar. Add in flour, baking powder, and salt. Cover and chill the dough overnight. 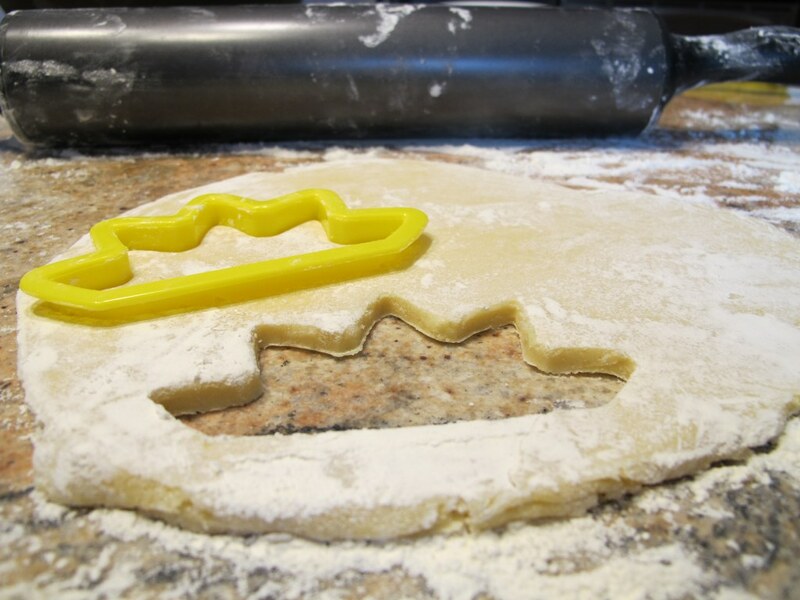 Roll out dough on a floured surface, 1/4 inch thick and cut into shapes with any cookie cutter. Place cookies 1 inch apart on greased cookie sheets. Bake 6 to 8 minutes in the preheated oven. Let the cookie cool a bit on the cookie sheet (about 1 to 2 minutes) before removing to a cooling rack to cool completely. It’s worth noting that when I say “use a large bowl” I seriously mean use a large bowl. When I made these cookies the first time I had to switch into a bigger bowl before I added the flour because I ran out of space before adding the dry ingredients. Live and learn! The dough will be sticky. 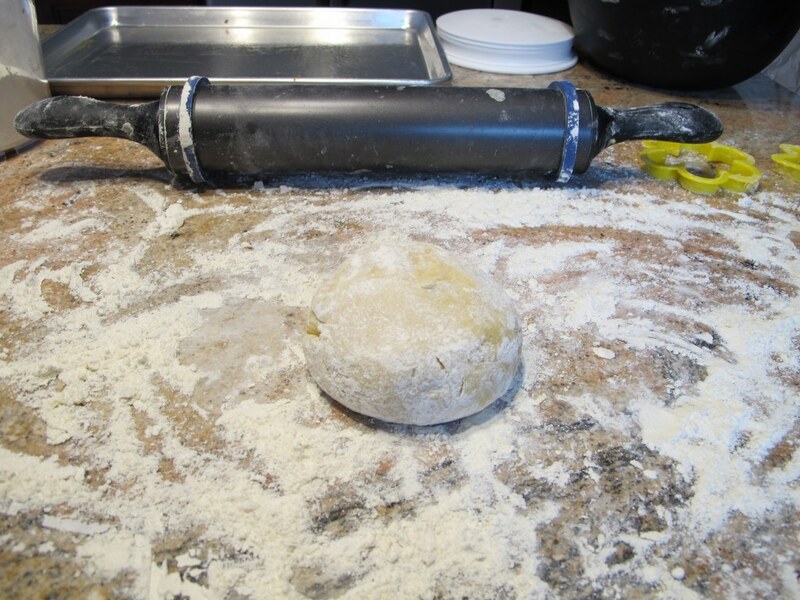 So don’t be afraid to use a lot of flour when you roll out the dough. I like to coat my hands in flour, make a ball shape out of the dough, and then roll the ball of dough on a heavily floured counter. I do this step multiple times using small portions of the dough because I find the dough easier to work with. I also like to use silicone rubber bands around the rolling pin because they help me roll out the dough in an even thickness. It’s important that the cookies have a consistent thickness so the cookies will cookie evenly. I like to dip the cookie cutter into some flour before I cut into the rolled out dough because the dough tends to come off easier from the cookie cutter when I place it onto the cookie sheet. If the dough is sticking to the counter when you cut the dough into shapes then you need more flour. Every shape will require a different cooking time. 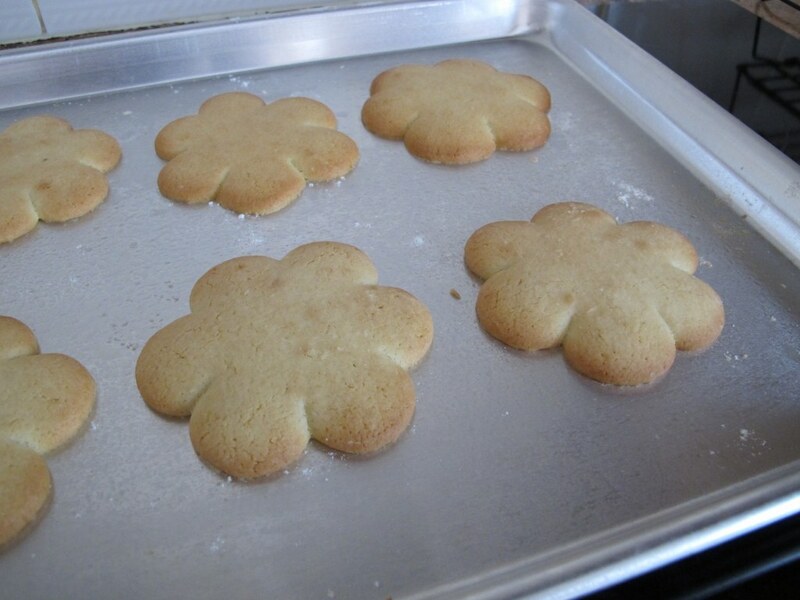 Make each batch of cookies all the same shape so they cook evenly. Otherwise you can end up with large shapes raw and small shapes burnt in a single batch. The bigger the cookie, the more time you will need. You definitely need to eyeball it. Once it’s golden brown then they are ready. Now is the fun part for me. I love to decorate cookies. This is a great time to get the kids involved too. Wait, no, NOW is really the fun part for me…time to eat the cookies! I think that sugar cookies are one of my favorites! Love these! And Happy Birthday!